All of us are marked in some fashion. Goad and Kusiak use stories to help us understand ow we should be marked. You see we have a choice. If we are tattooed we have a choice of what we have inked on our bodies, and who will be the one to tattoo us. We also have a choice in life if we will live out the God giving life. Goad and Kusiak use a wonderful imagery of being tattooed and how this is being handled in society and how this is paralleled by our life in Christ. A wonderful read for all! 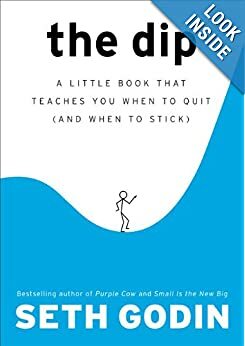 A little book that teaches you when to quit! What a wonderful concept because we are told over and over again that we should not quit. I mean really we have all seen the picture of the frog in the birds mouth with it’s hands on the birds neck with the line “Never Quit!” Is that really good advice? Seth Godin tells us it is not in this easy read that imparts knowledge we already knows but backs up the knowledge with stories of those who actually quit and never looked back. Godin helps us to focus our energy where we can make a difference and know when we have to push through the pain, or know when it is time to step away. This is a must read for everyone to help them see their fullest potential as a person, be that in business or just to be the best of who they are! Godin gives us nuggets of wisdom to help us see our true potential, find the thing we are personally, or our business is, best at and bring it to the next level of changing the world. David G. Benner opens up a topic most Christian think is taboo to show us it is the one thing we truly need to embrace to become the person God is calling us to be. In order to live the uniquely created life God has for us, we must first except ourselves as God has excepted us, just as we are. In order for us to this we must look at the darkness inside of us, and see who we are and acknowledge our sins and troubles. In order for us to change something we can not crucify it on the cross as sin if we deny we do it. We must accept who we are and work with God to use it for His glory! David G. Brenner helps us to look at who we truly are and accept that, and then move forward with God in being who He has uniquely created us to be! What if the church took following the example Christ gave us to be in the world was actually the way the church was? If we would take seriously the way Jesus lived and follow the example He gave us would we be able to contain the people seeking after God in the confines of the buildings in which we worship? Philip Gulley writes with zeal and integrity using his beliefs to help us see who God is and how we are to live in life. He gives wonderful examples from his own story to help us see how the church might have gone astray from where God has called us to be. 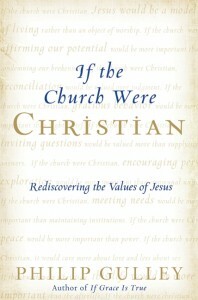 If you are looking for a book that lays out a plan for you to be a good Christian, this is not your book. If you are looking for a book that helps you see the hard things that Christ has given us an example of and calls us to do, then Philip will help you see who Christ was and who we could be. 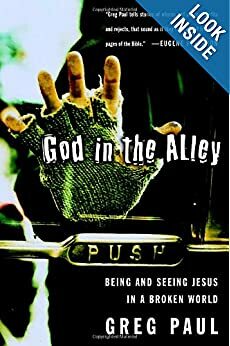 This book may push your thoughts and beliefs, but is a good read and will help you see who you are and help you possibly understand what you believe about God and how your faith is an integral part of your life. This quote from page 84 of A Good Neighbor is a summery of what it is to live in community. To be a neighbor, to be present to those to whom we have been given, and to those who have been given to us. We need to remember the simplicity of this, and Robert Benson helps us to see the simplicity in all of it’s glorious complexities. 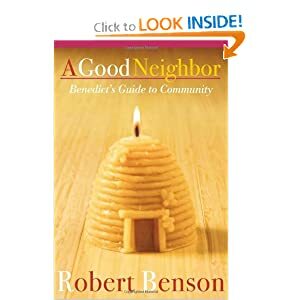 Benson looks at the many communities he lives in and then works through the frame work of Benedict’s Rule for living together in community. Even though we are not monastic we can still learn from the Rule and live in the Spirit in the communities we have been placed. Benson helps us work through our longing for community, a need for us to be humble in every aspect and moment of our lives, showing us the need for mercy and how it is better to give mercy than receive it. Benson also helps us see how we seek the community that we fit into, rather then welcoming those who have been given to us. He then wraps up his discussion by reminding us we truly show God’s love through our humble acts of caring for the other, and that is why we are here, for the other. This book is a wonderful short read that reminds us that living in community and being a good neighbor is easy in concept, but hard in execution. However if we focus on the simple and allow ourselves to be humble, merciful, and focused on the other, it will be easier than we thought it would. Greg Paul takes you on a ride through the streets of Toronto to meet and see Jesus. He goes to places those of us who are “christian” think Christ would never go, but Paul takes us there and introduces us to Jesus in the characters and people of every day life in Toronto. He shows us that Christ is present and active in the lives of people most church people have written off as fodder for hell. This book is a must read to help us all understand that God truly does work in strange and mysterious ways! Leadership is something we think a few people do. There are leaders in the country, leaders in business, leaders in church, you name the place and there are leaders there. And we look to these people to show us the way to do things. Sometimes these people are leaders in only one aspect of their lives, and followers else where. That is the point Dr. Chopra makes clear, we all have the potential to be leaders. We may not be leaders in every aspect of our lives, but we all have the potential and the moments to be leaders. This book is written from a series of talks Dr. Chopra gave on the topic of leadership. He uses the “LEADERSHIP” mnemonic to explain his view on leadership is as follows: L – listen well. E – empathy. A – attitude. D – dreams and decisiveness. E – effectiveness. R – resilience. S – a sense of purpose. H – humility and humor. I – integrity and imagination. P – principles, and willingness to pack other people’s parachutes. 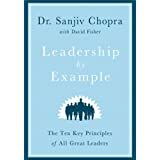 In this book Dr. Chopra explains how we have to move people and understand where they are at in order to lead them to places and to do things. He gives warm moving examples of leadership from normal everyday people who did not see themselves as leaders, but led many people and did wonderful things for society. I highly recommend this book for everyone to read to unlock the leadership potential in all of us. This book will move you with examples that will not surprise you, but with examples that will show you, you can lead by example!